Har ki Pauri on banks of the holy Ganges in Haridwar, literally translates to His Footsteps in English. 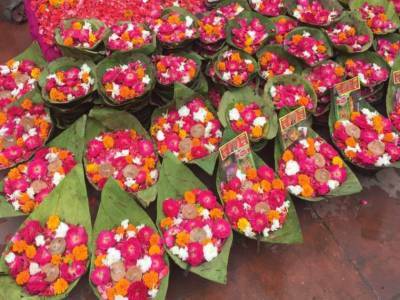 Here His refers to the reigning deity Lord Shiva, who is believed to have walked here on these very ghats of Har ki Pauri by the Ganges and hence it is identified as a highly revered spot of pilgrimage in that of the Hindu religion. In Hindu mythology both Lord Vishnu, and Lord Shiva have been mentioned to have left their footsteps on this holy ghat of Har ki Pauri and Lord Vishnu's giant footstep on a stone wall is preserved here. It all goes back to the Vedic times in Hindu mythology during the Samudra Manthan episode when the Gods were churning the ocean for regal nectar of life and while the nectar was being carried by the legendary bird with special powers Garuda, a little bit of it spilled over and fell in small enclosure of water within the Har ki Pauri. 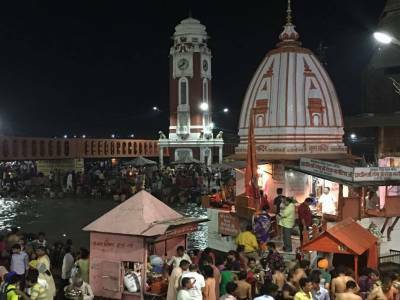 This is why Har ki Pauri and that particular area of water within it known as the Bramhakund are so significantly sacred and revered in Hindu religion. The Bramhakund is the location for the picturesque evening arti sessions which is the Hindu system of offering prayers to deities. 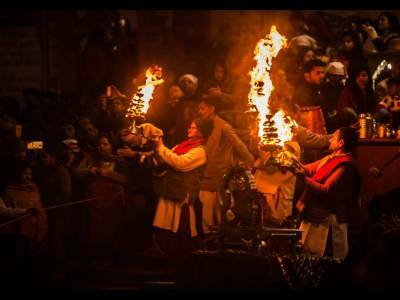 The whole event commences and continues with orchestrated movements synchronised between participants involving lamps and musical instruments and concludes with flowing small lights on lamps onto the river flowing downwards. The whole landscape is extremely scenic as it is past dusk and the darkness dotted with lights all over. This is incidentally also the place where the Ganges enters into the plains after flowing down through the hills from its source in the glaciers. 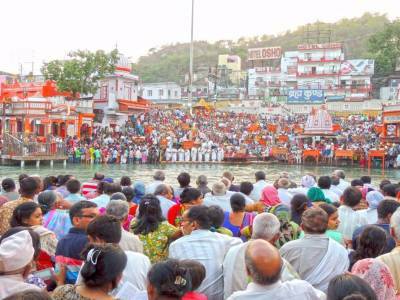 The great Hindu religious Kumbha Mela is also held at this holy ghat of Har ki Pauri. 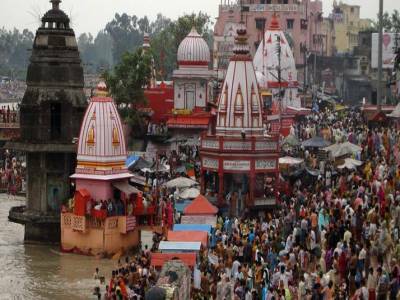 Get quick answers from travelers who visit to Har ki Pauri.